Don't miss out....sign up today! There is still time to join us for our sports and enrichment camps. It's the perfect way to beat the heat and have some fun! 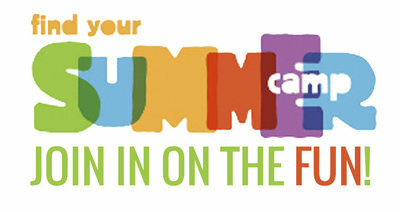 Check out our long list of summer camps and register today! Coach Eddie Kirkpatrick will lead this camp along with his assistant coaches and current players. Alumni and special guest speakers will be featured. The 2018 Faith Bible girls basketball team was 26-4, Northwest League champions undefeated in league play 15-0 and 5 players earned all-league honors. The girls have gone to the state playoffs for the 4th straight year and made it to the Final Four in the State Championships. They also had a top 3 defense in the state for the 5th year in a row. The coaches and players are excited to share about the culture of the program and what it takes to be successful. Not only will your camper learn the basic skills and fundamentals of basketball, but also what it means to be a great teammate, the importance of being a family and what it means to always play for the Glory of God. This camp is for all girls 1st thru entering 9th grade in the Fall. Date TBD 9:30AM to 12:30 PM, $80. Grades 6th – 8th 8:30 AM to 11:30 AM, $80. Athletes will fall in love with the volleyball experience that they find at this camp. Kids will be learning the important fundamentals needed to exceed at the game as well as fun drills that help develop a knowledge and understanding of passing, setting and good defense. The Falcon volleyball camp is one of the most loved camps in the area led by Varsity coaches and players. Includes t-shirt with registration by 7/16/18. register for camps before they fill up!